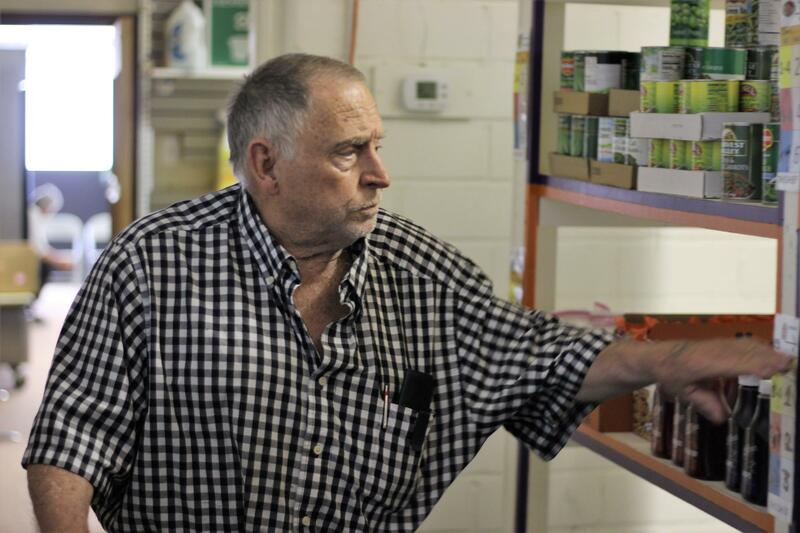 The Rising Up food pantry in Fort Morgan, Colorado, is one of only two locations in the area, aside from a mobile food pantry that comes to town once a month. Harvest Public Media's Esther Honig looks at why some immigrants are wary of signing up for federal food benefits. Leroy Bates shops at the Rising Up food pantry in Fort Morgan, Colorado. Clients can visit it 13 times a year, or about once a month. Rising Up director and co-founder Pam Hernandez said the organization's primary concern is to feed families no matter whether they're authorized to live in the U.S.